I love traveling and despite a full-time job, I endeavor and travel around 60+ days in a year. I have been doing this for the last 4-5 years now; still each trip is a dream and special in its own way. But for the balance 300 days in the year that I am not traveling, I am either reading travel related books or dreaming about it or planning my next trip. I have always love reading and with travel related books – I now get to experience another way of visiting places without actually leaving home. I have also come to realize that reading about the cultural nuances and history of a city or place in advance of a visit,makes the trip worthwhile, more memorable, and takes the experience to a whole new level. It helps me actually understand the place and its undertone much better. But after reading about Ann Morgan’s project of reading a book (literature) from each country, I realized that all the books I have been reading are concentrated on a few big countries or certain places. 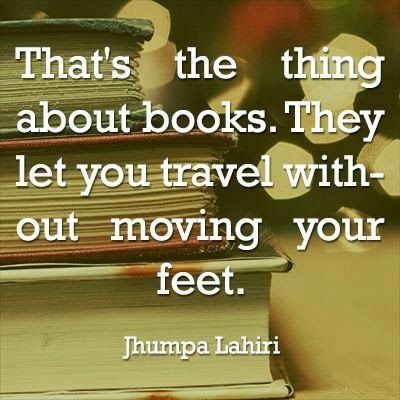 And I have been completely missing out on books and stories from Africa, South America, Central Asia and a whole lot of other countries. So, in an endeavor to enhance the quality of my reading and to improve my understanding of other countries, I have decided to try and read a book from every country. The idea is to read books that will inspire me to then travel to that place. I have decided to keep the criteria of book selection pretty simple – it could be a travelogue, fiction, non-fiction, literature or a book on that country’s history – it should help me understand the background of the place, what helped shape the country that way and ultimately inspire me to travel there. The idea is to read, as much as possible, books written by local authors or translations and avoid the famous travel writers. Needless to say guide books and travel books don’t qualify. I am quite excited about this idea but am sure I will face my set of challenges in looking for local books especially for the smaller countries. And also for books not available on kindle or in print in India. But I guess I’ll learn and discover ways and means around these problems. As a start, I have made a list of 196 independent countries and will read one book that inspires me to travel to each of them. I will keep adding those names against each of these countries and also share my thoughts and reviews on each book read. So, let’s get started! !